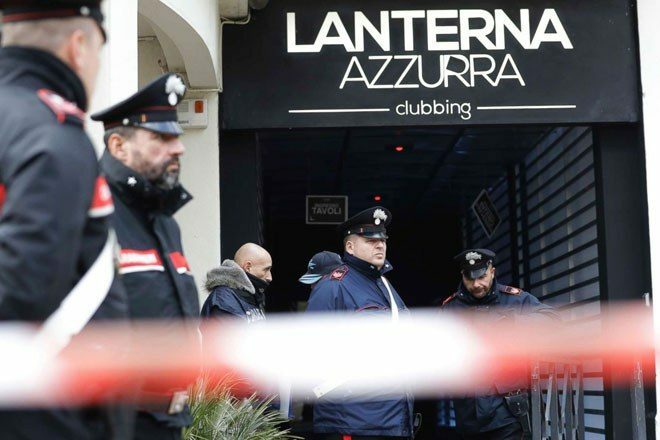 Six people, five of them teenagers, died during a nightclub stampede in Italy at the weekend. The spraying of pepper spray is reported to have caused the rush of people at Lanterna Azzurra, which also injured "dozens", 12 of those seriously, at a Sfera Ebbasta gig in Corinaldo, a town near Ancona. Five of the victims are said to have been aged 14 to 16, while one of them was a 39-year-old woman. The local fire service tweeted: "The cause may have been the dispersal of a stinging substance, the young people fled and trampled over each other. Sadly, six people died and dozens are injured." According to the BBC, the incident occurred at 1am local time before the gig had started. It reports that railings gave way, which led to people falling off a walkway. Italy's Interior Minister Matteo Salvini said investigations have begun to see if overcrowding was a cause. 1000 people are said to have been inside despite the capacity of the venue being 900.